The Seattle Parks and Recreation Superintendent Listening Tour community meeting scheduled for tonight, Aug. 4, at Rainier Beach Community Center has been canceled. Rainier Beach staff will be supporting National Night Out events and want community members to be able to participate in the citywide event. The community center meeting will be rescheduled as soon as possible. For an updated schedule, please visit http://parkways.seattle.gov/?p=5593. Youth collected more than 10 bags of litter during their Teen Service Project on April 18. Between July 31 and Sept. 4, 19 youth ranging in age from 11-17 met each Thursday at Rainier Beach Community Center to plan a community concert at Othello Park. The concert took place on Saturday, Sept. 6. The Othello Youth Concert was one program among many selected by Mayor Ed Murray’s office to address community concerns about public safety. Seattle Parks and Recreation program staff designed the program to meet essential youth developmental needs as well as to provide each participant with job-readiness skills and leadership development opportunities. While staff co-facilitated meetings and provided support, the youth participants made decisions about each facet of the concert’s design, including its themes of multi-culturalism, audience participation and fun. The youth were also responsible for promoting the concert, keeping its costs within their allotted budget and acting as emcees, stage managers, barbecue cooks, basketball coaches and performers on the day of the event. Participants enjoyed celebrating after the concert and staff praised their efforts. Staff were proud of the participants for making difficult decisions about the concert performance lineup and food plan. Because attendance remained consistent throughout the program, all participants were able to learn planning and organizing skills, practice team-building and communication and recruit their family, neighbors and peers to support their hard work. They translated this experience into a resume entry that they will be able to use in the future. Participants also shared feedback through conversation and surveys. Many comments revealed how their experiences were challenging and beneficial. For example, participants were challenged to communicate with people at different age levels and therefore were able to meet a new community of peers. One participant commented that the program improved her self-confidence. “I felt really happy that I had actually planned a concert for the public — I felt proud of myself,” she wrote. Participants received a stipend at the end of the program as part of their learning experience. Have you been to Seattle’s largest urban farm? Rainier Beach Urban Farm and Wetlands is located in the heart of Seattle’s Rainier Beach neighborhood, one of the most diverse zip codes in the nation. The Friends of Rainier Beach Urban Farm and Wetlands, Seattle Tilth, Seattle Parks Foundation and Seattle Parks and Recreation invite you to support this community farm at a community barbeque on Sunday Sept. 21, 2014, 4 to 6 p.m. The fundraising BBQ will be held at the farm, 5513 S Cloverdale St., Seattle, WA 98118. Dinner will be prepared by Seattle Tilth’s Community Kitchens Northwest staff and volunteers, featuring fresh produce from the farm. There will be live music and activities for children. The suggested donation is $25 per person, or $12 for kids age 12 and under (with an accompanying adult), though no one will be turned away and donations of any amount will be gratefully accepted. All money raised will benefit the Campaign for Rainier Beach Urban Farm and Wetlands. The farm is in the home stretch of a capital campaign to raise $2.5 million to expand the farm and make it a premiere educational facility for sustainable community urban agriculture. The farm will produce more than 10 tons of organic produce a year for the community. The improvements will be completed in 2015. For more information and to RSVP please visit Seattle Parks Foundation Rainier Beach Urban Farm and Weltlands or Campaign for the Farm For question about the event please contact Liza Burke, Communications Director, Seattle Tilthat 206-633-0451 ext. 103 lizaburke@seattletilth.org. Formerly a plant nursery for city parks, Rainier Beach Urban Farm provides opportunities for people of all ages to participate in educational programs and to contribute and learn as volunteers, learning to grow food organically and restore the natural wetlands habitat that runs down the middle of the farm. In 2013, the farm grew and sold or donated 6,876 pounds of food, provided 2,173 meals and distributed 1,436 subsidized Good Food Bags of fresh produce to the community with the help of over 600 volunteers. Friends of Rainier Beach Urban Farm & Wetlands is a committed group of neighborhood residents who created the vision for the project and secured the initial commitment of public funds. They provide community outreach, mobilize community members are lead efforts to secure additional public resources. Seattle Parks Foundation connects and supports community leaders to build and sustain a thriving system of parks and public space for all people. 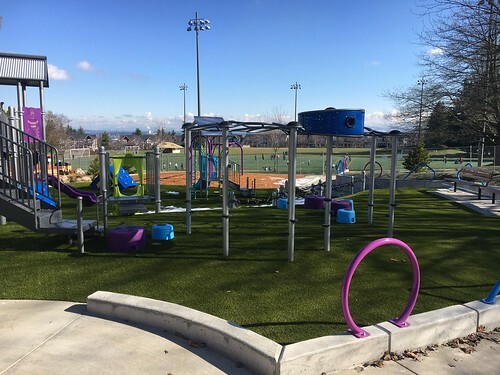 The foundation works with private and public sector leaders to integrate public space planning in Seattle and advocates and raises funds for connected parks and public space throughout the city. Seattle Tilth is a nationally recognized educational nonprofit organization that inspires and educates people to build an equitable and sustainable local food system while safeguarding our natural resources. Seattle Tilth offers classes and hands-on training in sustainable urban agriculture and environmental stewardship for all ages. 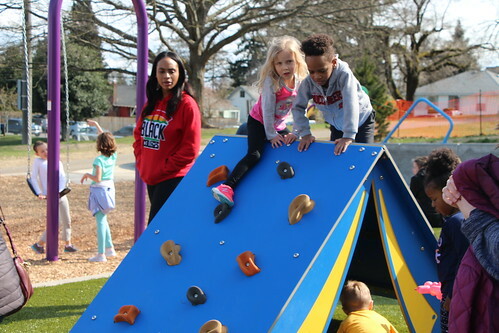 Seattle Parks and Recreation works with all citizens to be good stewards of our environment, and to provide safe and welcoming opportunities to play, learn, contemplate, and build community. Rainier Beach Playfield tennis court renovation begins Monday, Jan. 20, 2014. 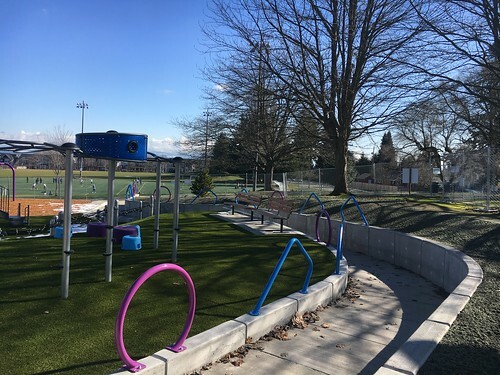 Located at 8802 Rainier Ave S, 98118, the project provides new tennis courts, adds new energy efficient lighting, and improves access to the courts. During construction, the tennis courts and west neighboring play area will be closed to the public. There will also be limited access to Seattle Tilth’s Rainier Beach Learning Garden. The Rainier Beach Playfield Improvement project, which includes the tennis court renovations, is funded by inflation savings from the Parks and Green Spaces Levy. The Oversight Committee received City Council approval to use Levy inflation funding for 17 much needed major maintenance projects. For more information about the project visit http://www.seattle.gov/parks/projects/rainier_beach_pf/. If you have questions, contact project manager, Patrick Donohue at patrick.donohue@seattle.gov or 206-684-9286. Rainier Beach Urban Farm and Wetlands kicks off fundraising to bring its vision to life! 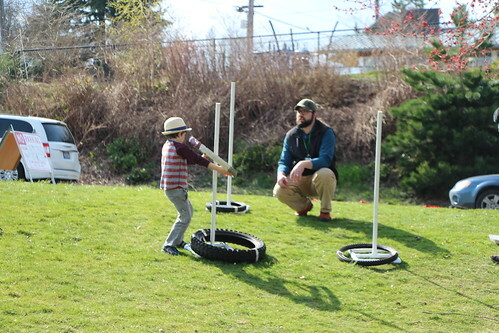 The Seattle Parks Foundation recently launched a $1.35 million capital campaign to provide the additional funding needed to build all the major elements envisioned for the Rainier Beach Urban Farm and Wetlands. The community initiated project will be completed in one construction phase and is projected to begin in September 2014, after the growing season is over at the farm. A transformational schematic plan was developed during 2012 to envision the former Atlantic City Nursery as an urban farm. The plan includes an organic farm, a children’s learning garden, greenhouses, orchards, apiaries, and chicken coops. The plan also allows the farm to be a gathering place for the community with space for outdoor and indoor classes, a fresh produce stand, protected wetlands, park amenities and a connection to the existing Beer Sheva Park. The farm will bring diverse community members together to learn, play, and enjoy. Ultimately, the farm will engage 5,000 community members and produce more than 20,000 pounds of fresh fruits and vegetables annually to be distributed primarily to Rainier Valley residents. 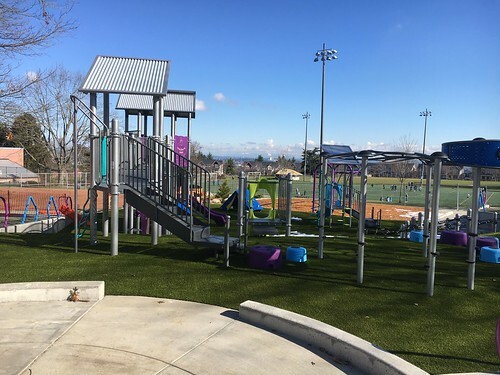 Seattle Parks and Recreation works with all citizens to be good stewards of our environment, and to provide safe and welcoming opportunities to play, learn, contemplate and build community. They seek opportunities to partner with organizations with common core values. Friends of Rainier Beach Urban Farm and Wetlands is a committed group of neighborhood residents who created the vision for the project and secured the initial commitment of public funds. They have mobilized hundreds of community members, generated excitement and support throughout the city, and are leading efforts to secure additional public resources. Seattle Tilth is a regional leader in building a better, more sustainable food system including opportunities for immigrants, refugees, and low-income people to start microenterprises in the local food economy. They manage day-to-day programs and operations at the farm. If you have questions, please contact project manager Kim Baldwin at kim.baldwin@seattle.gov or 206-615-0810. After almost two years of construction, the brand new Rainier Beach Community Center and Pool, 8825 Rainier Ave. S, will open to the public at a celebration on Sunday, September 22 from 2 to 5 p.m. Parks invites community members to take tours of the new building, enjoy a free swim in the new pool, hear a performance by the Southeast Youth Orchestra, register for fall programs, enjoy light refreshments, and have some family fun. 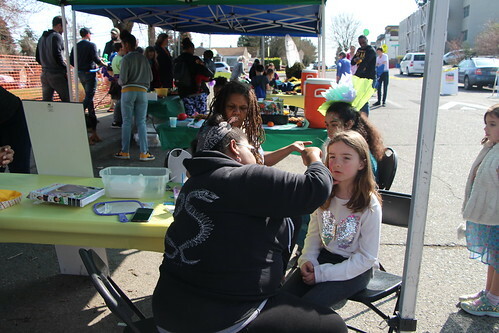 People can also meet Parks and Recreation’s partners at the new center: Associated Recreation Council, Atlantic Street Center, Bike Works, Campana Quetzal, East African Community Services and Southeast Seattle Community Youth Orchestra. The new Rainier Beach Community Center and Pool are funded by revenues from General Obligation Bonds and real estate excise tax revenues. Van Asselt continues to offer youth track and field; coaches John and Charlotte Shoecraft are back and we need volunteers! Lace up your spikes! Get set to sweat and join Seattle Parks and Recreation for another exciting track season with coaches who have been with us for 10 years or more! Our team practices Tuesdays and Fridays from 5:30 – 7 p.m. in the Rainier Beach neighborhood. Meets start in late April in West Seattle. Our team competes in 50-3000 meter, long jump, turbo javelin and shot put depending on age. Track team is for kids of all skills and abilities ages 5-17. Please call the community center at 206-386-1921 or stop in to find out more details. All participants must fill out a registration form and the program is only still $35 for the entire seasons and includes a singlet! Become a fan of Van Asselt Community Center: facebook.com/VanAsseltCC. Want to get involved? If you want to volunteer, we want you! For more information, please call Carl Bergquist 206-386-1921 or e-mail him at carl.bergquist@seattle.gov. Seattle Parks and Recreation will host an informational session at Neighbor Care, 9245 Rainier Ave. S, to discuss job opportunities at the new Rainier Beach Community Center and Pool. The session will be held on Tuesday, Feb. 12, from 7 – 8:30 p.m. Discussions will center on future job opportunities at Rainier Beach Community Center, understanding the Seattle Parks and Recreation hiring process, finding City of Seattle jobs online, and using the City’s online employment system. In September 2013, Seattle Parks and Recreation will open the newly built Rainier Beach Community Center and Pool. The 46,000-square-foot building will house both the community center and pool. The pool includes a lap pool, indoor spraypark, and large waterslide. The community center will include a gym, fitness room, child care area, kitchen, multipurpose room, teen area, game room, computer room, meeting room, arts/crafts room and party room for pool rentals. The exterior has a play area adjacent to the child care area and parking. For more information about the informational session, contact Brian Judd at 206-615-0018 or brian.judd@seattle.gov. Seattle Parks and Recreation invites you and your family to participate at the second public meeting for the Rainier Beach Playfield Play Area and Tennis Court Improvement project on Tuesday, September 18, 2012, 6:30-8 p.m. at the South Shore School Auditorium, 4800 S. Henderson Street, Seattle, WA 98118. At the first meeting, Parks presented design options for your neighborhood park play area and tennis court improvements. We also gathered input about play equipment and design options. At this meeting, Parks will present the schematic designs developed from your suggestions and gather additional public comments. This project is funded through the Parks and Green Spaces Levy. 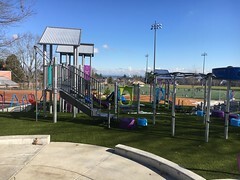 The play area renovation includes new play equipment for children ages 2-12, improved safety surfacing, better accessibility and site amenities that may include picnic tables or a seating area. The tennis court renovation will construct new courts, adds energy efficient lighting, and improves access for people with disabilities.